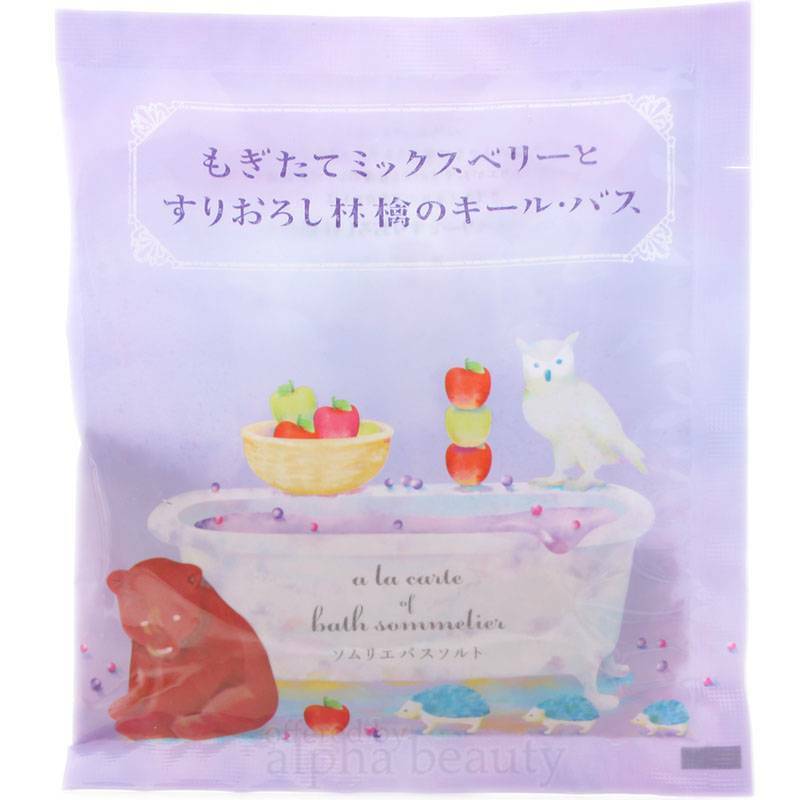 Natural bath salt mixed with the luxurious moisture ingredients derived from fruit extracts, and gives you one of the most enjoyable bath with fruity scents. Add 200 liters of water in bath at 38-40 degrees, take a sachet and pour inside, enjoy! A standard bath treatment is for around 10-15 minutes. DO NOT drink. Rinse off the tub after usage.